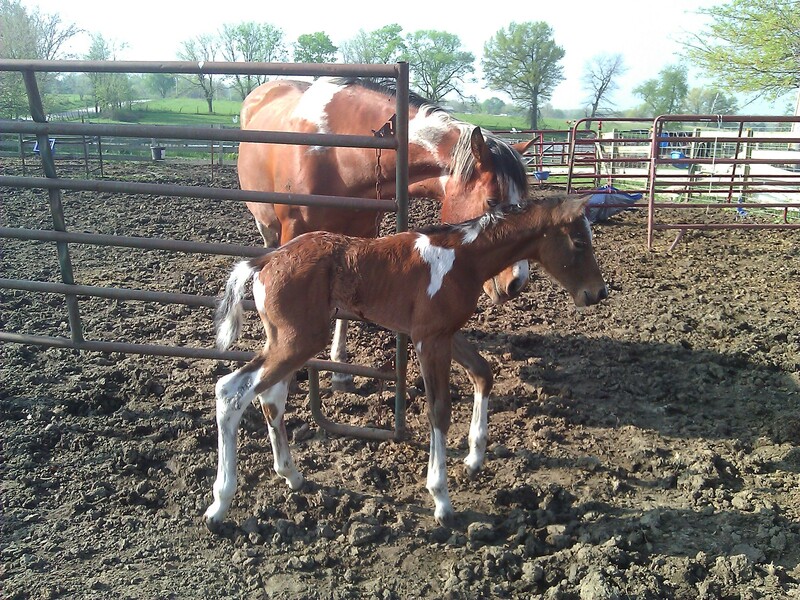 We only have 2 mares bred of the 2012 foaling season. 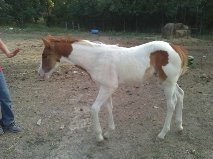 Brazzy had her 5th foal by Sundance on April 1, 2012. 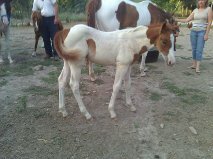 She has had 3 colts and one filly; 2 bays and 2 buckskins before this foal, a Bay tobiano filly. Unfortunately, O April Fools on you, "APRIL", had some form of internal birth defect that effected her urinary tract system. She lived for about 30 hours..